Grametro, Profile/pipe extrusion, Solutions | Contrex S.r.l. 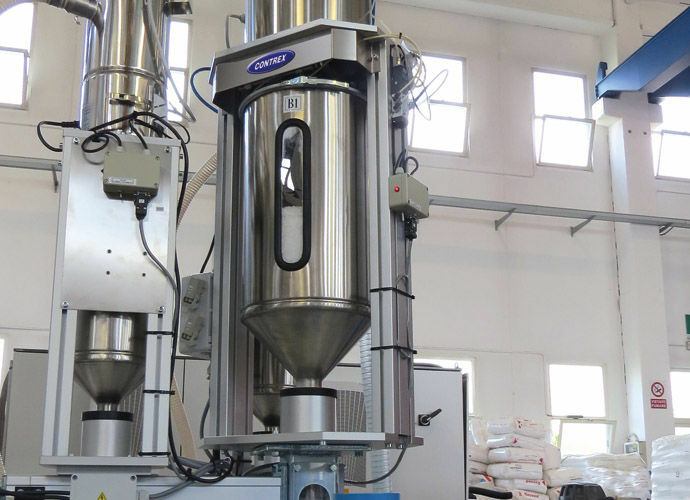 GRAMETRO is a continuous loss-in-weight gravimetric dosing unit designed for extruder feeding and supervision, it manages the weight-per-meter ratio of the extruded material in a closed loop. A control algorithm supervises the haul-off speed in combination with the extruder, thereby keeping a constant quantity of extruded material for every linear meter also in multilayer applications.